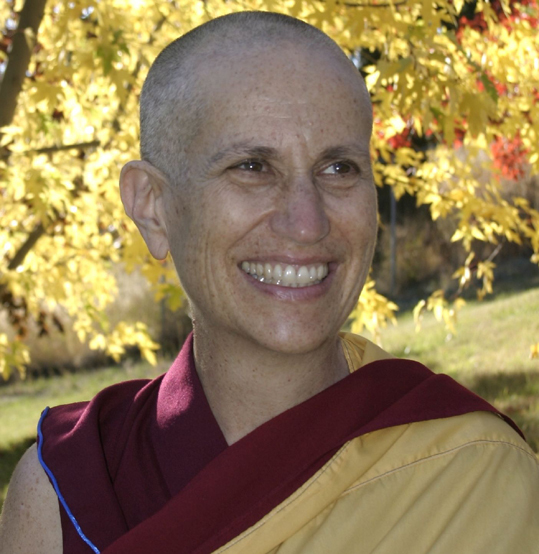 Thubten Chodron ist eine amerikanische Nonne aus der Tradition des tibetischen Buddhismus. Anger plagues all of us on a personal, national, and international level. Yet, we see people, such as the Dalai Lama, who have faced circumstances far worse than many of us have faced - including exile, persecution, and the loss of many loved ones - but who do not burn with rage or seek revenge. How do they do it? In her talk Ven. Thubten Chodron presents a variety of Buddhist methods for subduing and preventing anger, not by changing what is happening, but by framing it differently. No matter what our religion, learning to work with our anger is effective for everyone seeking personal happiness as well as world peace.